It’s hard to believe but Christmas is fast approaching. It’s a hectic time of year for everyone – even the particularly organised amongst us and it can be tricky to keep track of everything that needs to be done before the 25th. So now is the time to get ahead of the game and get some planning in before things get too busy. Below we have covered just a few things you can do to get your business ready for the additional bookings and orders that this time undoubtedly brings. Make sure you know the key dates of all the major holidays and shopping days. You want to be able to take advantage of them and the only way to achieve that is to have enough time to plan. Also it’s important to know when the last order dates for your partner labs are, as well as the traditional snail mail. Not sure when they are? We’ve compiled them all here. 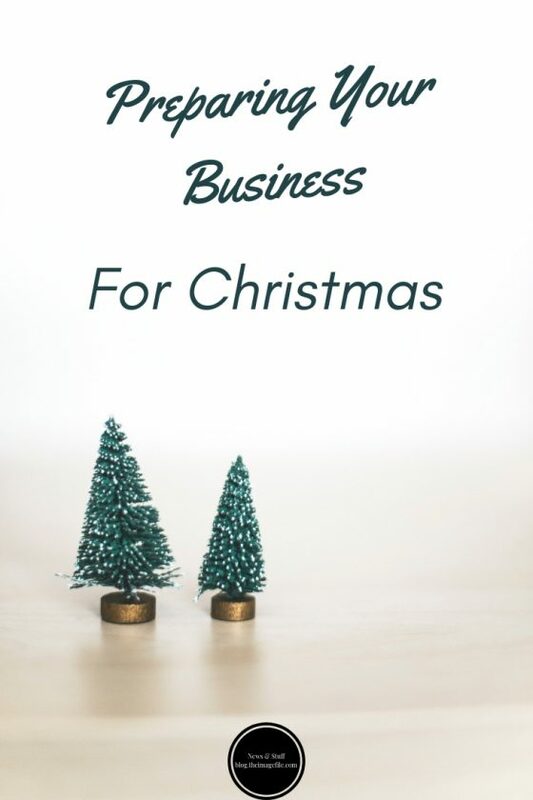 Of course you don’t have to market your business for every major holiday or shopping day as some might not apply but it’s a good idea to keep them in mind. Make sure you know all the details of your products, services and offers as well as any other items you are planning on listing later in the season. Does your business look solid and complete? Is there any vital information that you need to share, such as order cut-off dates or when you are closing shop for Christmas? Now is the time to get all that information sorted so you are not panicking at the last minute. Rather than flooding your text areas with hundreds of keywords (which the search engines consider spamming), try to use them strategically and purposefully. The search engines like to send visitors to website that provide useful and high-quality content. One of the easiest ways to provide customers with great content is through a blog. If you haven’t already, it’s easy to set a WordPress blog up through theimagefile. Improving your web page loading speed is another way of appealing to search engines. One way of doing this is to save your images for the web using the “save for web” tool in Photoshop or another image editing software. Titles and headings are also great for search engine optimisation. Firstly, they are one of the easiest and quickest ways of formatting your content so that it is easy for visitors to skim and find relevant content. Secondly, search engines rate keywords found in titles in headings more heavily, so make sure those important words are up there. By formatting your content, it instantly improves the readability and usability which means that your customers are more likely to stay on your website for longer and revisit in the future, which the search engines love to see. This time of year is a great time to refresh your portfolio and add any new images to your other web pages. Spend some time revamping your slideshows and web pages so that revisiting customers notice a difference. This doesn’t have to be a complete overhaul, but even changing the order that images display can make a big impact. Adding some seasonal cheer to your website can really encourage customers to book and buy. You can easily add a festive look to your website by downloading the Christmas page sets or adding a small script that displays falling snow on your web pages. At Christmas, we are all looking for the perfect gift so make sure you spend time making sure you are offering products or services that appeal to shoppers. The best rule of thumb is to offer three types of products. Budget-Friendly – key rings, mouse mats, fridge magnets etc. Sentimental Gifts – canvases and photo books. Broad Appeal – Christmas cards and thank you notes.